Pass Your Drivng Test 1st Time! : The L driving test is getting harder! The L driving test is getting harder! According to an article in the Sunday Times, it is getting harder to pass the UK driving test! Well nothing new there, after all there are more cars on the road, road accidents are up, and the skills required by a new driver to survive on today's roads in the UK are by no means trivial, plus the dsa conducts one of the toughest driving tests in the world for the general public..
Whatever the case, if you are currently learning to drive, then there is only one way you can make sure your chances of passing are high. Be prepared! Practise, practise, PRACTISE. Whether you are using an ADI or not, you need to make sure you have covered the full DSA syllabus and are confident of carrying out all the required tasks on a consistent basis. I offer affordable cheap driving lessons in NW London, with a free option of video recording of your high quality tution onto DVD to give you a better chance of passing the driving test since you will have the ability to go over mistakes repeatedly and the remedy action. 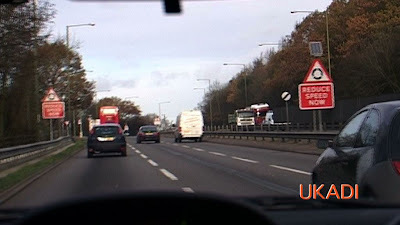 If you already have a driving instructor teaching you to drive, and are happy with their services, you can make use of the free online driving lesson tips and advice that I provide to refresh your on the road tuition, and the driving videos are also very useful for gaining extra knowledge when not in the car. You can make use of the search function to go through the over 400 articles that I have written in the 10 years of experience as a qualified instructor on any subject of the driving test, as I'm sure someone would have asked the question before.